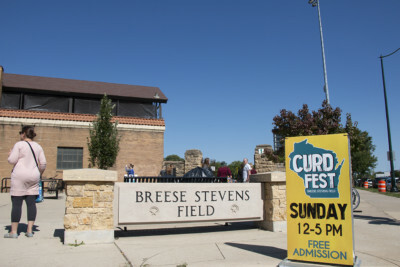 The Curd Fest takes place at Breese Stevens Field in Madison, WI. There’s almost a beauty to its obscene, artery-clogging glory: caramelized onions, tender beefsteak, and a light dose of Cheez Whiz on top. But beneath it all lies the prize, the main event — crispy-on-the-outside, gooey-on-the-inside, buttermilk-battered, fried cheese curds. 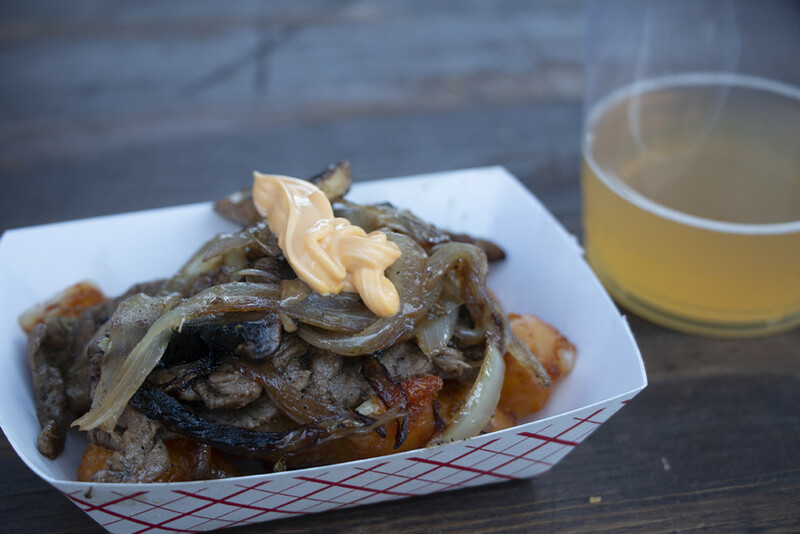 The Philly Cheesesteak Cheese Curds are just one of the decadent dishes available at Madison’s sixth annual Curdfest. The event is something of a cheesemonger mecca, a dairy lover’s dream. 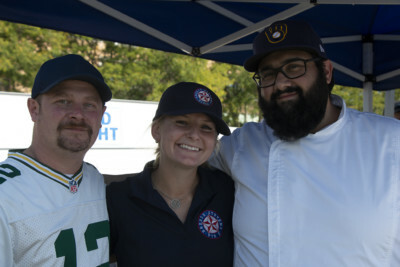 Eleven fried curd vendors, along with two fresh curd shops, three beer stands, and various non-cheese vendors filled the length of a soccer field at downtown Madison’s Breese Stevens Field. 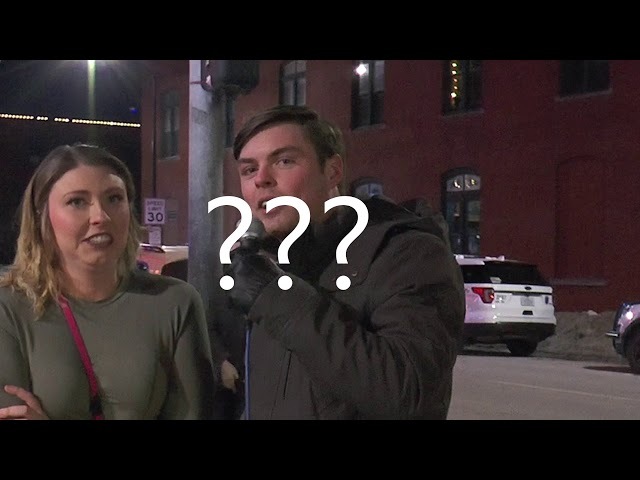 They expected to feed around 4,000 people. 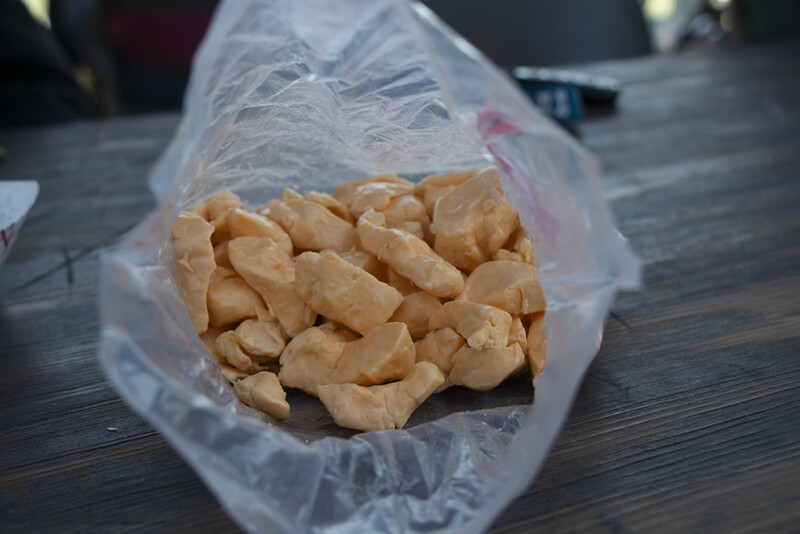 Cheese curds are essential to Wisconsin culture, like cheering for the Green Bay Packers or drinking only-in-Wisconsin Spotted Cow beer by New Glarus Brewing. They’re part of the Dairy State’s rich legacy of cheesemaking, beginning with the old world traditions of Scandinavian immigrants and cementing around the turn of the 20th century thanks to innovations in cheesemaking at the University of Wisconsin – Madison. Hardly a restaurant in the state can go without boasting its own version of the small, sometimes round, sometimes oblong, salty bits of yellow or white cheddar. But there are two ways of serving cheese curds: fresh or fried. Fresh curds are right from the factory and usually room-temperature. The good ones make a pleasing squeaky noise against your teeth as you eat them. Fried curds, on the other hand, are fresh curds that have been dunked in some sort of batter and deep fried. They’re crispy on the outside, gooey on the inside, then often topped with innumerable different coatings and seasonings. 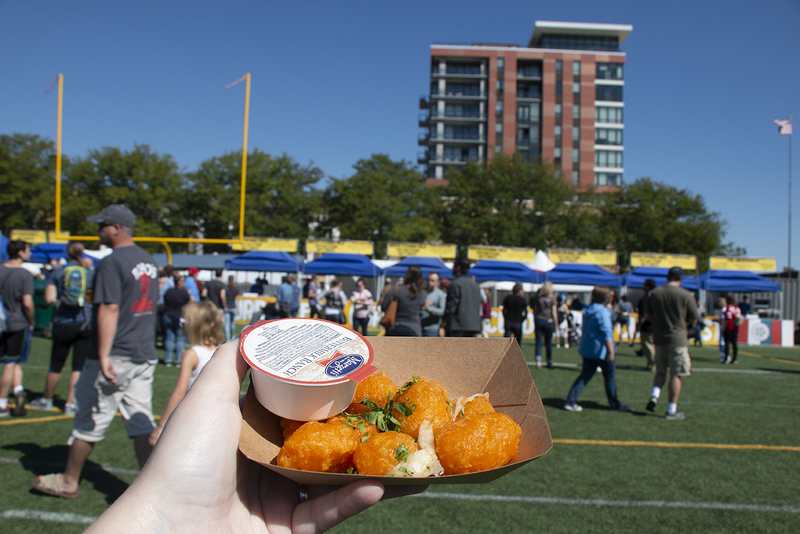 Each chef creates a vastly different experience—hence the purpose of Curdfest. 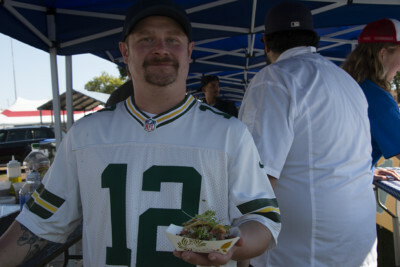 Jed Spink, winner of Curdfest’s Best Celebrity Chef. The whole point of writing this story was to try the curds, right? A brave Urban Plains colleague and I risked it all — it all being our present and future digestive systems and cholesterol levels — to take on Madison’s finest curds. We made it through six of Curdfest’s 11 vendors before running out of steam, cash, and most importantly, stomach. Here are the six presented in the order that we ate them. Ask for a classic curd, and you shall receive. Though slightly underwhelming, these basic, lightly-battered curds came with a crucial addition: a side of ranch. 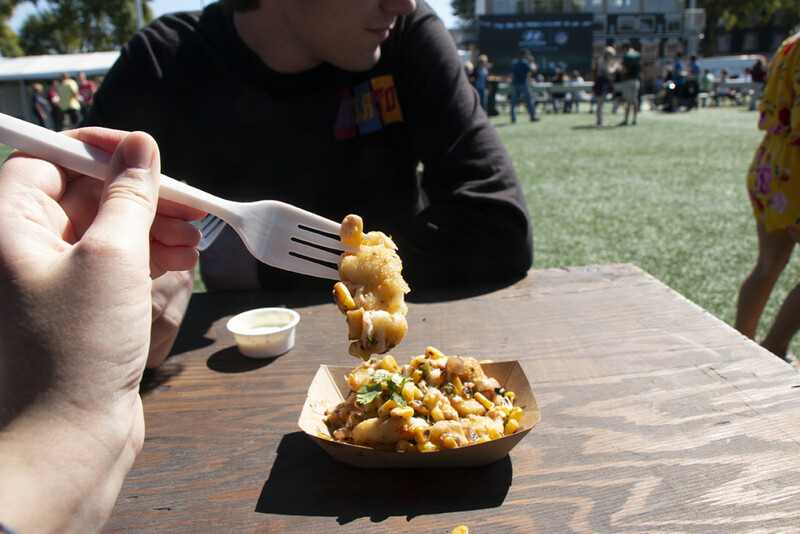 The ranch impacted the flavor experience so positively that it won over even a cheese curd purist. Oh, baby. These are the pinnacle of cheese curd refinery, the height of fried cheese luxury. Flavorful balls of battered muenster were lightly tossed with delicate truffle oil and a Salt Bae sprinkle of parsley. 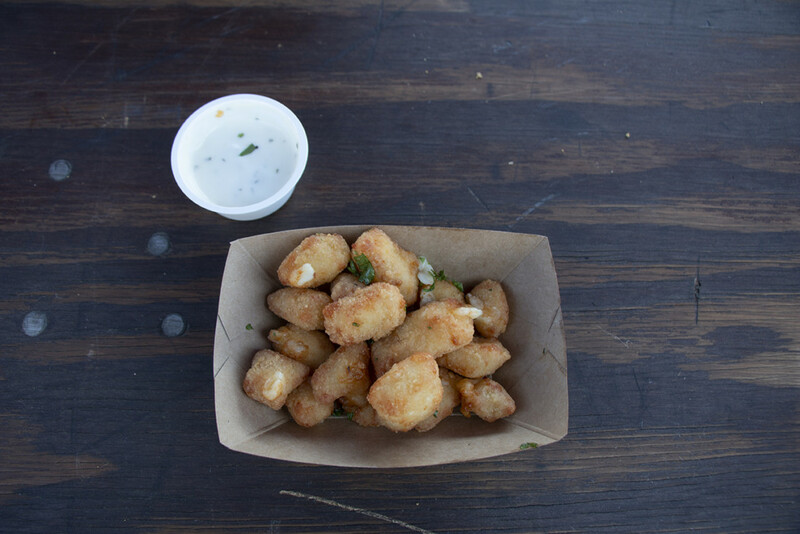 If I had to spend the rest of my life with one cheese curd, it would be the Truffled Curd. Present these curds to the Chinese ambassador to America, and you may just solve the trade war. 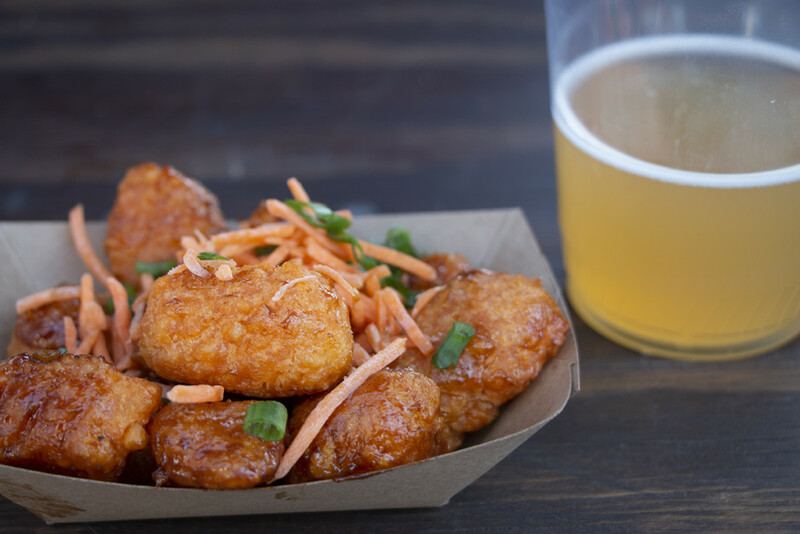 Buttermilk battered curds are tossed with a generous — if sticky — dose of hoisin sauce, and garnished with shredded carrots and scallions. This curd was one of our favorites simply for its unexpected flavor that somehow worked. Not for the faint of taste buds. This Mexican-inspired serving is made of jalapeno curds, lightly breaded and tossed with roasted corn, onion, garlic aioli, and cilantro. The dish would have been much more enjoyable without my tragically low spice tolerance. Visually, these are intimidating. One look at them made my vegetarian forehead sweat. So, for the most part, I left the tasting up to my meat-eating partner. Despite the monstrous serving of onions, beefsteak, and mushrooms, (and a squirt of Cheez Whiz on top), the buttermilk curds below it all were worth digging for, and perhaps the finest curds of the bunch when isolated from their confounding variables. A true classic. These room-temperature, squeaky-in-the-best-way curds were the perfect palate cleanser after five rounds of the heavy fried stuff. Out of the two fresh curd vendors at Curd Fest, I picked the one with the shorter line, and was not disappointed. Full flavor, slightly salty, with the perfect squeak—everything you can ask for in a fresh curd. When I saw this novelty as I was leaving Curdfest, I immediately jumped on it. Maybe it was a primal Wisconsinite instinct; maybe it was slight delusion from all the dairy hormones flooding my brain — either way, I saw this lip balm and refused to leave without it. I happily forked over the $3 price (discounted from its original sale price of $6, which may tell you something) and slathered the balm all over my lips. And then promptly recoiled. I’m not gonna lie, it’s pretty gross. I have to give its creators points for accuracy: the lip balm absolutely tastes like its namesake. The scent is strong, like if you stuck your nose into a bag of fresh curds, salty aroma and all. The trouble is, nobody actually does that. Just a hint of cheese would’ve been fine.